My programs are genuine, install in one step, look, sound and play in Windows 10, 8, 7, Vista and XP like they did in the old days, or your money back. This is my unconditional guarantee for three years. This listing includes the original program CD. The box is pictured for reference only and is not included. I will also provide a compatibility CD that will allow the program to run under ALL VERSIONS of Windows 10, 8, 7, Vista and XP, both 32 and 64 bit. One step: Insert my CD and the program will automatically work on your computer. Done. Yes, it's that simple. Want to play? Click the icon. Want the program off your computer? Click Uninstall. Zero hassle. In the mid 90s the world of multimedia was in a major transition. Limited by the bandwidth of the hardware of the era there just wasn't much multimedia potential. 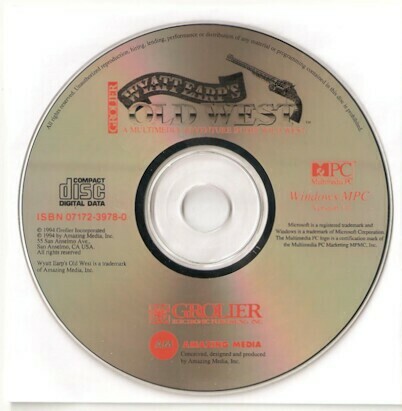 A typical title included hundreds of megabytes of still- frame images, as much text, and a few dozen animations or movie clips thrown in for good measure. Since it was not possible to include much in the way of motion picture content, the tendency was sometimes to dazzle the audience with the footwork: Unneeded links, gratuitous graphics, a confusing array of superimposed structures on the data (file cards, time lines, indices, etc.) and so forth. The result was often a fairly useless digital collage that, seen today, drastically shows its age and the then infancy of the medium. Wyatt Earp's Old West avoided all the glitz. It is a well-organized CD on subject with broad appeal. As was common, the introduction is a movie clip. This describes both the layout and toolset of the cd. A background narration is available through the entire tour of the old Tombstone, up and down the streets and alleys, in and around the buildings, etc. Like all good cd scripts, this one allows the user to increase or decrease the depth of involvement at will. What is more, the organization is carefully arranged. 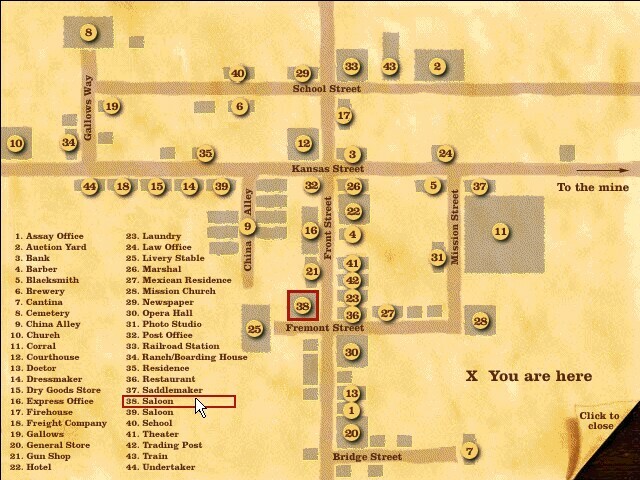 A town map may be brought up at any point which shows the location of the current image. 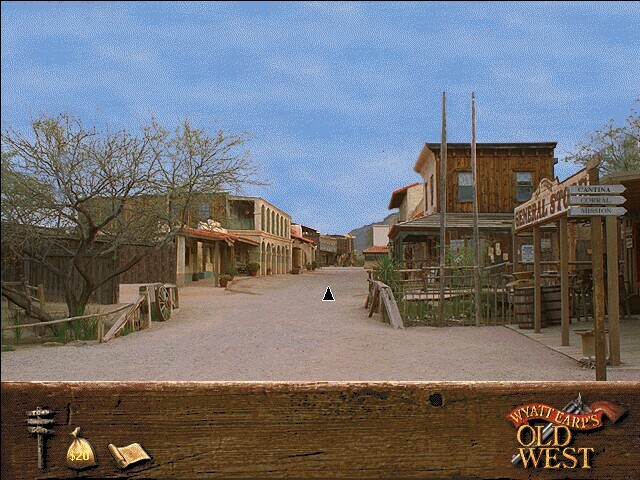 One may navigate the town by change in relative direction from the still frame images or by clicking on the map object. This was a very useful feature and made navigation through the entire story quite easy and fun. 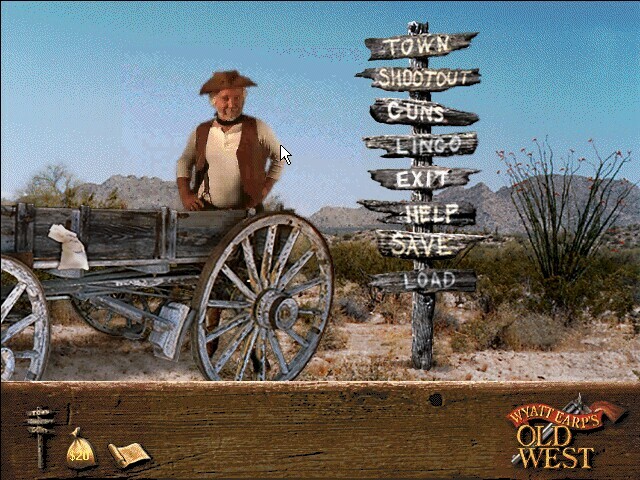 There is also a simple interactive dueling game which let's the users try their quick-draw techniques out against animated bad guys. It's not first person shooter quality by any means, just a fun diversion that it was meant to be. 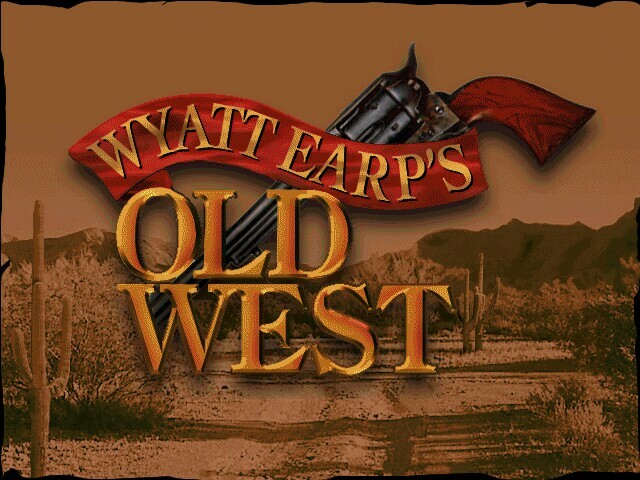 With it's tidy presentation, and wealth of interesting info, Wyatt Earp's Old West is one of the cleanest, best directed, information-oriented first generation CD's I've seen.